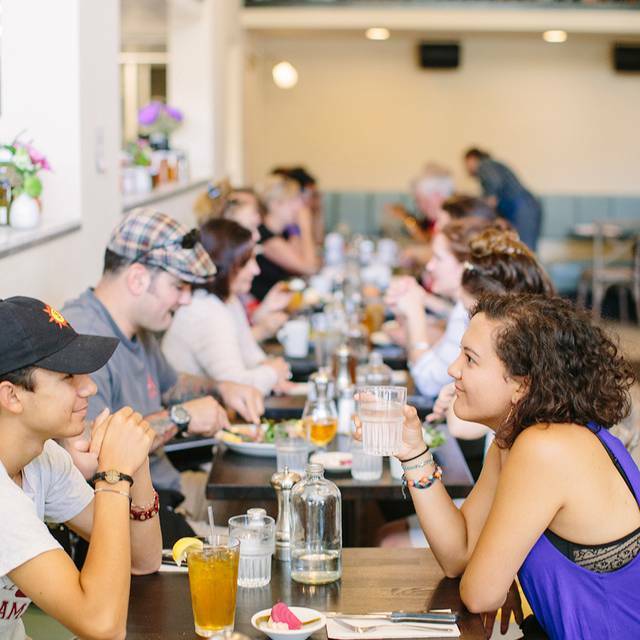 PLEASE NOTE SAT, SUN, AND HOLIDAY BRUNCH SERVICE IS 100% WALK-INS; NO RESERVATIONS. Our dining counter is full service dining and always available on a first come first serve basis. We are able to hold a reservation up to 15 minutes. If you are running later than that, please see us at the host stand and we will do our best for you. Requests for outdoor dining are welcomed but not guaranteed. There is metered parking along Grand Avenue and a paid parking lot at the corner of Grand and Euclid. Please allow extra time for parking as our neighborhood is very popular! Served everyday! Serves two to four: Takes 45 minutes to roast fresh for you; please order early and have some cocktails and a snack! $8. Combining cold-pressed juices, superfoods, herbals, and pro-biotics 8oz. Food was ok- nothing particularly special or interesting. The place felt sort of dingy. Floor was greasy. Good Mai-Tais. Would come back for the cocktails if I’m in the neighborhood. Great food, a bit pricey, but sitting outside is nice. They were friendly for kids even if the menu isn't quite designed for it. The food was not very good. Staff was nice and attentive. We are so fortunate to have GLK just blocks from our house. It has been our "go to" since May and David opened their door! It just keeps getting better and it started out great! A friend in Virginia decided I needed Jewish penicillin. About 45 minutes later four bowls of GLK matzo ball soup arrived at my doorstep. Manna from heaven! Since then I have lunched there. The decisions were hard. The food delicious. We asked about dessert. Only one choice at lunchtime: the cinnamon mini-donuts. Do it. Fresh, local ingredients make every plate a delight. Always have a great meal here. Neighborhood gem. Eat here and then walk Lake Merritt. Love this place! This gem is unpretentious, moderately priced, and a good rendezvous for friends or relatives. I can walk here, but if you drive, the neighborhood parking lot is only a block away. Half the time, a street parking space seems available within steps of the door. 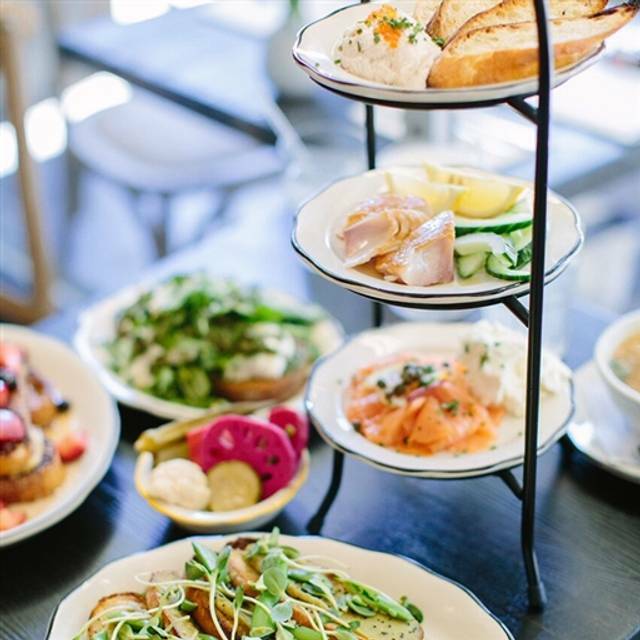 Portions are reasonable and it’s fun for a full meal, or an afternoon coffee and something to munch. Casual dress, of course. Birthday brunch at GLK was perfect. Always good service, delicious food and a lively, laid back atmosphere. Just fantastic !! everyone is so nice and the food is delicious.. this is our go-to place. so glad it's so close.We can't WAIT till you open in the Dimond ! Thank you so much ! Food was good. My friend noticed that they overcharged for the wine which was listed at $10, but showed up as $13 on the bill. They apologized, but that’s pretty inexcusable and think they should have waived the cost of one glass or offered something for a nasty error. Met a bestie I hadn’t seen in awhile for a late lunch. GLK was the perfect place for this! Attended right after lunch. Great staff very welcoming our server was great! No wait for seating. Food was served fast and the drinks were great. Pleasant open atmosphere. Lunch with a friend. Tables are very close together, and it’s very loud, but the food and service were great. Love the menu and uniqueness each menu item offers. Yum! Not very good. We ordered matzo ball soup which was too salty; an azian chicken salad which had large chunks of cabbage difficult to chew and very little chicken, a pork sandwich which had very little flavor, and brussel sprouts which at the bottom levels sat in a pool of cooking oil. Disappointing overall. 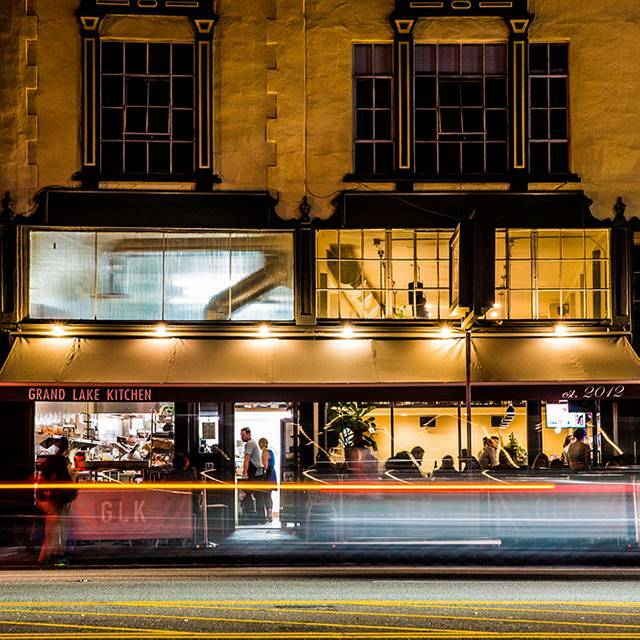 We come to GLK often and have always enjoyed it. This last visit was not up to par. 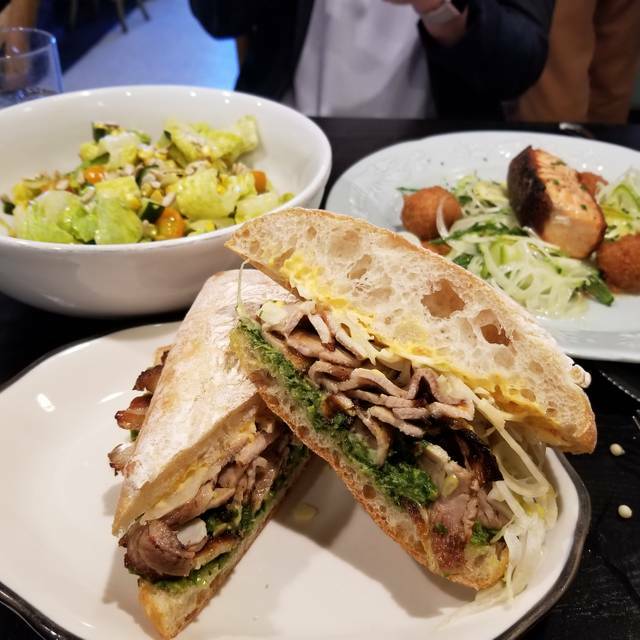 Sandwich not up to usual standard, and the matzoh ball soup a bit oily. We will continue to go, but hope GLK is not getting too popular. The food and service are fine but the noise level is deafening. The only thing was the bathroom was pretty dirty. Other than that, fabulous. We really enjoy Grand Lake Kitchen and have been many times! On this occasion we took some friends here for dinner before we went off to the Oakland Speakers' Series at the Paramount. The food and service was great and Joshua was our server and he was knowledgeable, attentive just enough, and very pleasant. The place can get a bit noisy if it is very crowded and we lucked out on that too at our chosen time. We shall be back again and again! Really enjoyed dinner at Grand Lake! We went for a friend's birthday and the food & drinks were amazing! The donuts were AHHHMAZINGGG and I will definitely recommend everyone to try that. Pro tip: Dip it in their ice cream!!! My first time being here and it was a good experience. The chilaquiles verde was really tasty and so was the mimosa. I would recommend new comers or anyone else to reserve a table because it does get busy, even on weekdays. I will for sure come back! Love the atmosphere overall! Warm and inviting. Had a very nice lunch, we were sorry to miss the brunch but will definitely go back for it. Staff was professional and welcoming. Had Matzo Ball soup, it was amazing. 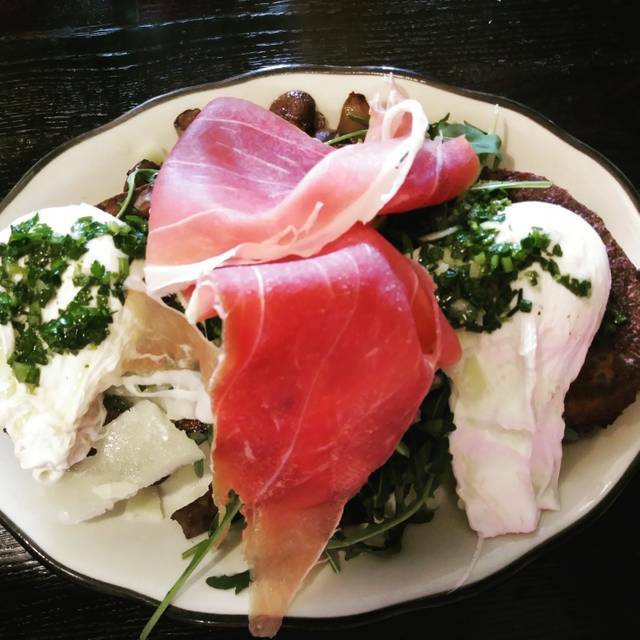 The Caesar Salad with tuna and the poached egg was excellent as well! Just one note. I love.....pickled anything, but found the touches of pickled items on items to be a bit overwhelming. Such as the picked red onions on the Italian sandwich. They overpowered all of the other flavors. Also, I had a spicy virgin Bloody Mary and it was so tart/lemony I couldn't finish it. So if the lemon is part of the tomato juice mix, it needs to be toned down a lot. All the staff smiling all the time! Overrated. Savory French Toast was more salad than toast, pork belly & polenta was off tasting. The redeeming factors was attentive service and ambiance. Waited about 10 minutes with a reservation. French toast was yummy. Chicory Caesar salad was good but way too salty. 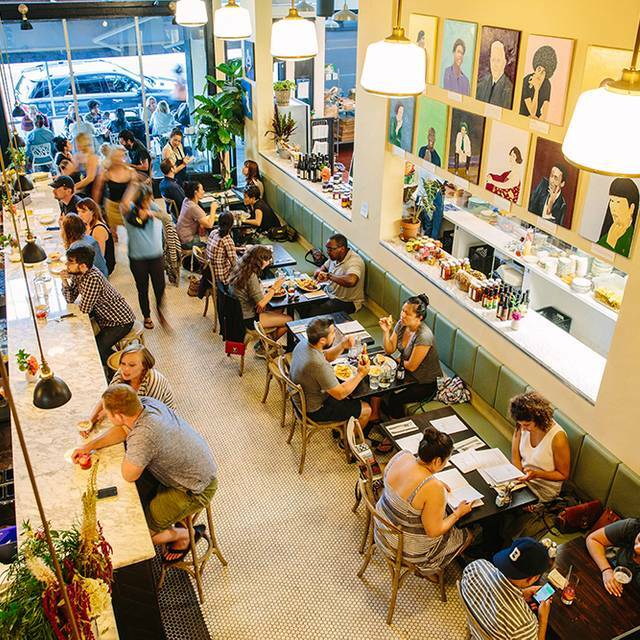 A friendly place that’s always busy because it has very good food. Food was good. Very good pork belly soup with cabbage. Service was above average. I will visit again. 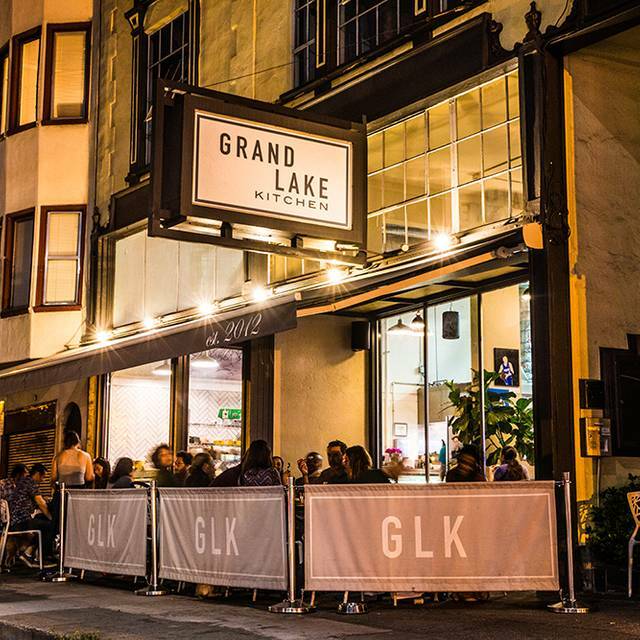 Grand Lake Kitchen is a gem — outstanding service and delicious food. While service was efficient, I did not feel rushed. I had breakfast and I understand that lunch and dinner is amazing as well. 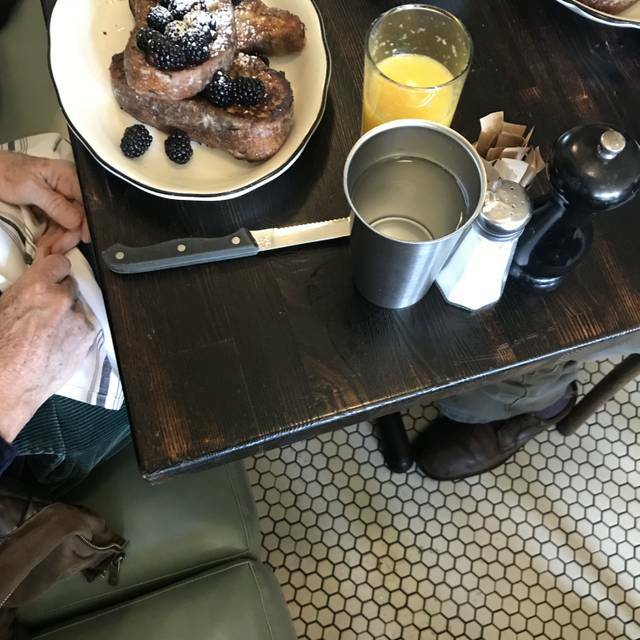 I plan to make Grand Lake Kitchen my “go to” for meals with friends and family, loved it! Location is great, across the street from Lake Merritt and a nice long walk after a very satisfying meal. Too boisterous for a breakfast meeting. 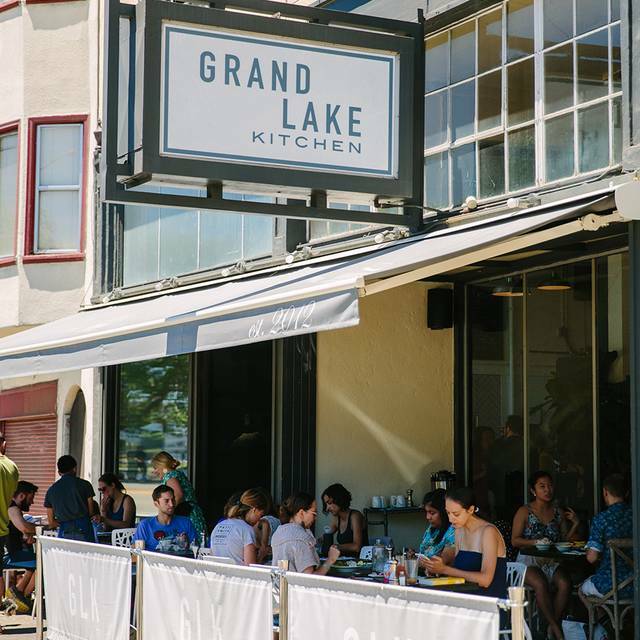 We love dinners at Grand Lake Kitchen. The food is consistently excellent. However, we hate the late afternoon "nosh" menu of sandwiches, pickles, etc. We booked the 4:30 pm reservation thinking we'd have an early dinner before the rest of our evening's planned activities. Sat down and realized it was the lunch/afternoon menu, so we left without eating. Went for lunch/brunch, shared savory French toast and pork belly sandwich and two boozy slushes - excellent!!!!!! The delicious food and friendly service are always stellar! Finally had a chance to try dinner at Grand Lake Kitchen and the food was great. The Reuben Fries are delicious, though wish that the pastrami had been leaner, and the vegetable pot pie was the best I've ever had. We shared the roasted chicken, which was tender with crispy skin, but it was very small and wish we hadn't had to carve it ourselves. The salad which came with the chicken was quite good. Service is a different story as we waited 10 minutes before being acknowledged by a waitress. They seem to share service coverage, which means no one is responsible for a particular table and it's easy to get ignored. Also, as in typical Oakland fashion, the staff seem to feel that they're doing you a favor! Overall, love the casual ambience and food, but service needs an upgrade. Great place. I wish the music was a little quieter. Always great food, drinks, service, and ambiance. And we are all so happy they put Reuben Fries back on the menu! Consistently good food and service. Love this neighborhood gem! Lakeside dining with excellent food in a relaxed and friendly. Good wine and beer and the well made cocktails are a pleasant surprise. Pet friendly. great local spot w/ an eclectic menu. we had a great lunch and I look forward to going again. Hmmmm. The menu didn't seem as odd and innovative as last time we visited months ago - but perhaps memory and/or taste buds fail. Service was prompt and friendly. I had pea soup (pretty good) and Chinese chicken salad (pretty good). My wife had a many-meated sandwich which was quite good. Dining companion had veg pot pie of which she said: white sauce okay, crust better than average. Our memories of GLK were better than most recent experience. We'll try again in a week or two.